Current pregnancy tests are accurate, but there are a few reasons why the results can be wrong. Inaccurate results can arise due to a number of factors and are more likely with home urine pregnancy testing than with a blood test. Consult your doctor if you are concerned about your results. Your pregnancy test is wrong if you get a negative result even though you are actually pregnant (false negative) and a positive result when you are not (false positive). It is more common to have a false negative result than a false positive one. The following are the main reasons for an inaccurate pregnancy test result. One of the more common reasons for getting a false negative pregnancy test result is that you did the test too early. This is especially true for home urine pregnancy tests (HPT). They are not as sensitive as blood (beta HCG) tests to detect the low levels of human chorionic gonadotropin (HCG) early in pregnancy. The earliest you should do a pregnancy test is about eight to ten days after ovulation around the time of implantation, which occurs between six to twelve days after you ovulate. 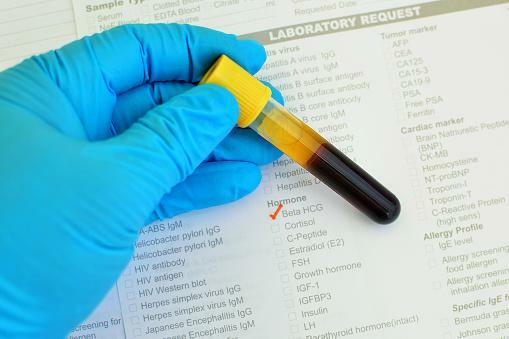 A blood pregnancy test might detect your HCG that early, but a urine HPT has a chance of being negative. You may have ovulated and gotten pregnant later than you think so your timing might be off for that reason. You might have a urine test kit that is not sensitive enough to detect HCG in the early days of pregnancy. To decrease the chance of a false negative because of early testing, make sure you buy a kit that can detect at least 20 milli-international units per milliliter (mIU/ml) of HCG in the urine. A urine pregnancy test is less likely to give a false negative result if you test a day after your missed period. The urine HPT is even more accurate a week after you expected your period, according to the Mayo Clinic. The chance of a false negative test decreases as a pregnancy progresses. If your early HPT is negative and you are anxious to know if you are pregnant, go see your doctor for a blood pregnancy test. Otherwise, wait a week and repeat your test. The Office on Women's Health writes pregnancy tests are at least 99 percent accurate if the test is done correctly. However, an analysis of studies on the accuracy of home pregnancy test kits published in 1998 in the Archives of Family Medicine found user error was a significant cause of inaccurate results. Read all the test instructions before you start your testing and carefully follow the steps. It is best to test your first morning urine as suggested by most HPT brands. Your first urine of the day is the most concentrated so HCG will be highest then and more easily detected. Don't read the test too early, or you might think your result is negative. Wait long enough for the results to develop after the urine is on the test stick. If you read the test too late, you might mistake an evaporation line for a positive test. Don't drink a lot of water before you do your test. This can dilute the HCG in your urine and make it harder to detect and cause a false negative result. Make sure you are not using the urine test after the expiration date on package. Repeat your test if you think you did not follow the instructions and recommendations. Quality control is not perfect in the manufacturing of any product. There is always a chance the urine test kit you are using is defective and cannot accurately detect HCG in your urine. Consider buying a different brand and retest your urine if you think your results are wrong. A conception in the uterus that is lost in the early days of implantation, such as a chemical pregnancy, might initially give a positive test. When the pregnancy becomes nonviable, usually because of the failure of implantation, the low level of HCG might still be detectable on a blood test for a short while. A repeat pregnancy test will be negative a few days later. If you have an ectopic pregnancy, you might initially get a false negative result on your HPT or blood test. The abnormal pregnancy makes lower levels of HCG, which might be slow to detect. The HCG level can subsequently increase and become detectable though more slowly than with a normal pregnancy. It is especially important to make sure you don't have an ectopic pregnancy. There are case reports of ectopic pregnancies reaching a point of rupture in the face of a negative home urine pregnancy test. If you have increasing abdominal or pelvic pain, as well as any of the common early symptoms and signs of pregnancy, you should see your doctor without delay. 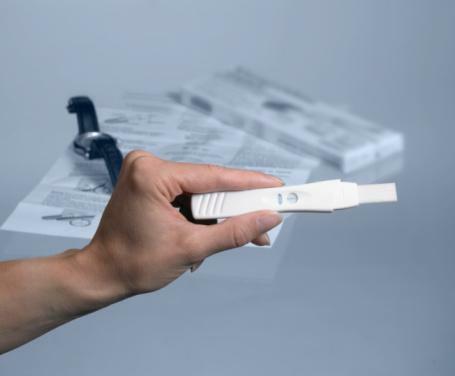 Serial blood pregnancy tests and other evaluation can help him/her make a diagnosis of an ectopic pregnancy. If you do an HPT for some reason soon after a spontaneous miscarriage or a therapeutic abortion and if the test is positive, this might confuse you into thinking you are still pregnant or have a new pregnancy. However, a urine or blood pregnancy test can remain positive for a while after a pregnancy loss. HCG takes an average of one to two weeks to become negative but can take longer depending on how far pregnant you were when your pregnancy ended. Be aware, though, that a positive urine or blood test can mean you still have pregnancy tissue in your uterus. See your doctor if you have heavy or prolonged bleeding or pelvic pain for more than two weeks after a miscarriage or an abortion. Pseudocyesis is a false pregnancy, but the afflicted women are mistakenly convinced they are pregnant. A few of these women can curiously have a false positive pregnancy test. Some even have symptoms of pregnancy, including morning sickness, a growing belly, and subsequent false labor pains. 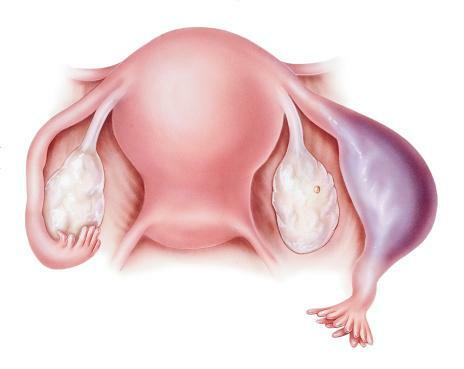 The cause of pseudocyesis is not known but might be related to psychological or hormone dysfunctions, or occur in women who strongly want a baby but are having problems conceiving. An ultrasound exam will show the absence of a baby. According to the American College of Obstetricians and Gynecologists, antibodies and other factors in your blood can interact with the test antibodies in a pregnancy test. This interaction can result in a falsely positive blood pregnancy test. When a normal pregnancy is not apparent, the situation might lead to extensive evaluation to find the source of the HCG and cause unnecessary treatment, according to the Handbook of Clinical Laboratory Testing During Pregnancy (page 31 to 32). A urinary tract infection or kidney disease can cause blood or white blood cells in your urine, which can interfere with a pregnancy test result. An article in 2012 in Annals of Laboratory Medicine reported an investigation of a case of white blood cells in the urine that resulted in a false positive urine pregnancy test. Some perimenopausal or menopausal women might get a positive urine or blood pregnancy test result. The pituitary gland might make a small amount of HCG that is not normally detectable in nonpregnant women. With aging, this HCG can increase, especially after age 55, and become easier to detect in blood and urine, according to a study published in 2005 in Clinical Chemistry. Symptom and signs of a specific condition and further evaluation can help a doctor make a diagnosis. Some medications can interfere with the results of a pregnancy test. For example, HCG injections can cause a false positive pregnancy test if it is done too soon after the injection - given to trigger ovulation in women undergoing infertility treatments. Talk with your doctor if you are taking these medications and you are trying to get pregnant. Urine and blood pregnancy tests are sensitive for detecting low levels of HCG in early in pregnancy. Accurate timing and following manufacturer's instructions will reduce the chance of getting a false negative result. Be mindful of any illnesses or medicines that could also give you a false negative or false positive result. Consult your doctor if you think your pregnancy test is wrong.